5)Soak some almonds overnight in milk and next day blend them to make paste apply this paste, and leave until it dries and then gently scrub it off. Follow this remedy daily to get fast result. 6)Great a potato to make paste add few drops of lemon juice ,apply this paste for 10 minutes and then rinse it off. 7) Mix cucumber juice and lemon juice dab this mixture on to the affected skin and leave it for 15 minutes and wash off. 8)Mix one teaspoon of tomato juicewith one teaspoon of lemon juice.Gently apply this mixture on the dark circles and allow it to sit for 10 minutes and then rinse it off. 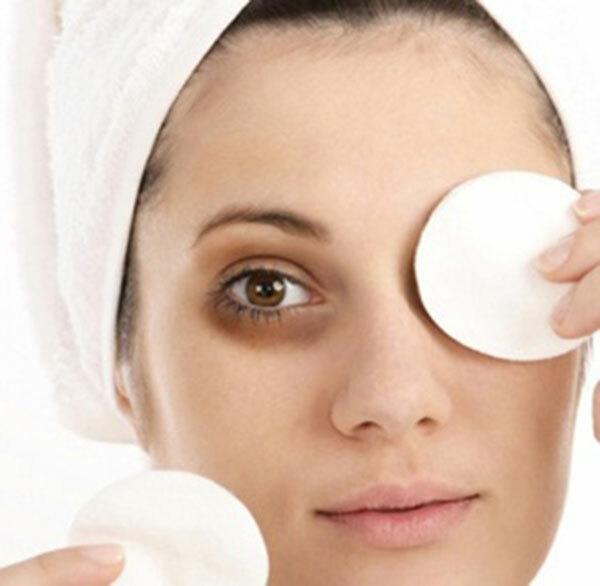 9)Mix a teaspoon of fullar’s earth with raw milk and apply this paste under eyes, let it dry and then rinse it off . half teaspoon of almond oil, massage under eyes with this mixture daily to get good result. Beside these remedies drink plenty of water,add vitamins A, C and E to your diet and eat green vegetables and fruits. This entry was posted in Home Remedies and tagged Eye care, Top 10. Bookmark the permalink.